Make every look special with these feminine and delicate earrings. 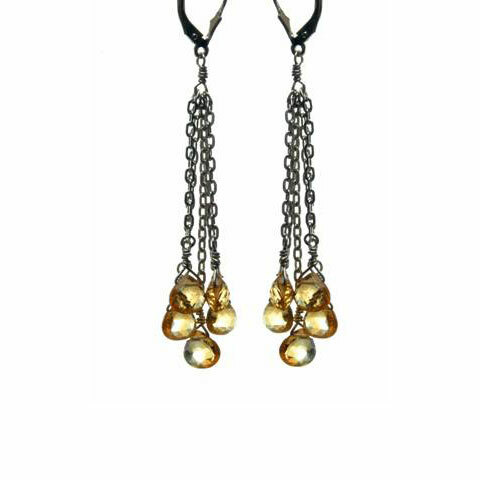 Citrine teardrops are clustered to evoke rays of light. Chain and lever back closure are sterling silver.